One question we get asked occasionally is: Are infrared heaters safe? Some people are concerned about EMF (Electromagnetic Field) exposure, others about the effects of IR on their eyes and skin, and we’ve even heard from some folks who have read that infrared heating will fry your brain! As a former research scientist, I’d like to take a look at the known hazards of IR heat and electric appliances like ours and set the record straight. One concerned customer sent me the following article on infrared radiation and its impacts on the eye. They were concerned that this demonstrated IR would damage their eyes. Let’s take a look at some of the findings in this paper. This paper goes over a number of studies and impacts. In one study covered, the researchers were able to damage the eyes of rats at “low power” IR levels of 70,000 J/cm^2 over an exposure period of 1000 seconds. They also did higher dosages, but that was the lowest dosage they were able to achieve detectable damage. That corresponds to a power output level of 70 W/cm^2 for 1000 seconds. For comparisons sake, your typical IR yoga panel has a power output level of only 0.1 W/cm^2. The sun, every day, outputs a level around 0.06 W/cm^2. In other words, the intensity of IR from our strongest panels is only 1/700th that of the minimum the researchers were able to use to damage the eye. While that’s slightly stronger than the average power of the sun, the dosage is roughly similar or less since the panels are not continuously operating. And of course you are only exposed to one of the two at any point in time, since IR panels are only found indoors where there is no sunlight. In other words, you are being exposed to no more IR than you would be if you spent all your time outside. Could even that native level of exposure be harmful? There are a few bodies which offer guidelines on this topic, one of which is the International Commission on Nonionizing Radiation Protection – the ICNIRP. They produce a number of articles and guidelines regarding the health hazards of such environmental factors. First we need to define a few terms relating to the different parts of the infrared spectrum. There are, to date, no studies showing that Far infrared exposure has any sort of negative health impacts and certainly not at the dosages received from infrared heating panels. Near IR – High intensity IR is often referred to as Near IR, which refers to the spectral peak. Extremely high temperatures are required to produce Near IR – such as those found in blast furnaces, glass blowing, arc welding, and other heavy duty industrial heat sources. Medium IR is what you’ll find being produced in industrial drying ovens. Far IR is what your typical SolaRay panel produces (peak is around 8um – see our other article on fake infrared for a spectrum). We use Far IR for heating people because it is readily absorbed by water molecules (of which you’re a mostly made of!) – this results in the heat quickly transferring to you rather than penetrating deep into the tissue because there is plenty of water around in your skin cells. While the ICNIRP does recognize some potential harms for IR exposure, it depends entirely on the spectral peak of the IR dosage received, as well as the intensity. Near IR can be harmful to the eyes because it penetrates as far as the cornea (Voke, 1999). Uncontrolled, frequent, or long-term exposure to Near Infrared can also cause thermal burns and ageing effects such as “Bakers Arms” or “Glassblowers Face” (Cho & others, 2009). The health impacts of Far infrared, on the other hand, extend simply to warming the tissue. There are, to date, no studies showing that Far infrared exposure has any sort of negative health impacts and certainly not at the dosages received from infrared heating panels. 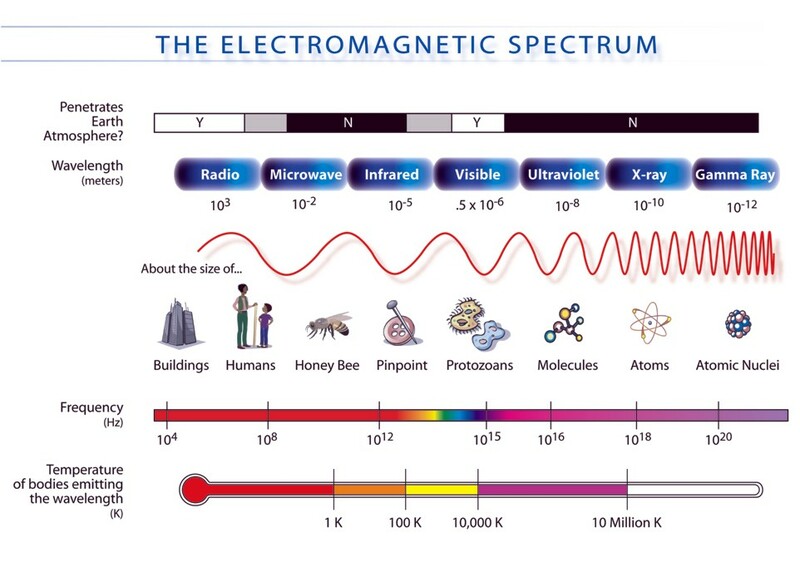 Figure 1 – The electromagnetic spectrum contains everything from gamma rays to radio waves. In the infrared section marked above, far infrared is dark blue, medium infrared blue, and near infrared is light blue, right where it starts changing to visible light. Image credit NASA. First, let’s talk about what an EM field is. It’s composed of two fields actually- the electric field is created by a difference in voltage – the higher the voltage difference, the stronger the field. And when you allow current to flow, such as through a wire, you generate a magnetic field – and the stronger the current flow, the stronger the field. EM fields are what make, for instance, electric magnets and voltage transformers to function. EM fields are present everywhere in our environment. The earth has a global magnetic field, and electric fields are what produce lightning. The EM spectrum includes a wide variety of “radiation” that you are probably familiar with. X-rays are a part of the EM spectrum. So are radio waves and microwaves. For that matter, so is the visible light our eyes use to see. We can break the EM spectrum up into two big chunks – ionizing and non-ionizing. Ionizing radiation is strong enough to break chemical bonds between molecules – stuff like x-rays, gamma rays, and cosmic rays all fall under this classification. Non-ionizing radiation is all the other lower energy stuff – visible light, radio waves, microwaves, IR, etc. This radiation is all too low energy to break chemical bonds. EM fields can also be static, or time varying. A static field would be what is produced from any battery operated (direct current or DC) device. The earth’s magnetic field is also a static field. A time varying field is produced when the current alternates (AC or alternating current). Time varying fields are found anywhere you have AC power, such as in lamps, electrical outlets, or any other AC appliance. The typical frequency of a US power outlet, for example, is 60 Hertz – the current reverses direction 60 times per second. In most European countries the standard is 50 Hertz. Your plug in wall clock may utilize this frequency to keep time, for example. These time varying fields fall under three categories: extremely low frequency (ELF – from 0-300Hz), intermediate frequency (IF – from 300Hz-10MHz), and radiofrequency fields (RF – from 10MHz-300GHz). Our electric power supply and associated electronics generate ELF. Computer screens, security systems, and anti-theft devices generate IF, and radio, television, cellular, and radar are the primary sources of RF fields. How do EM Fields impact humans? Ok science lesson over – now let’s talk about the known health impacts of these fields. First off, a quick google search on EMF and health impacts will certainly turn up a lot of scary stuff. Much of that is, however, wild speculation and hyperbole. I’m primarily going to look at ELF-MF – extremely low frequency magnetic fields – because that’s what electric appliances such as our infrared panels generate. One link people have looked at is ELF-MFs and cancer. While most studies have come up with no correlation or causation between the two, there was some linking between ELF and childhood leukaemia in the early aughts. Those studies showed that, if the relationship is causal, it could explain 1 to 4% of all childhood leukaemia cases, with the remaining 96-99% being unrelated. This is a fairly small effect size, which in part means that determining correlation is very tricky. For a counter example of a relatively “easy” to prove correlation/causation, smoking cigarettes is responsible for roughly 85% of all COPD cases in the US (world wide this figure is closer to 50%, primarily due to poor indoor air quality in third world homes using direct burning of fuels for heat and light). Another human health impact hypothesis is that there is a link with Parkinsons. A recent systematic review found no evidence of correlation or causation. There are also claims of nervous system impacts from EMF, potentially relating to syndromes such as fibromyalgia and other chronic disorders. Another recent panel of scientists who examined the topic found extremely variable results and ill-defined mechanisms of action. Their conclusion was that a link was indeterminate and more better quality research needs to be conducted. the link between EMF-MFs such as those produced by electric appliances in your home and any health effects is tenuous, small, and not well supported by studies to date. Another recent examination of the heath impacts of ELF-MF exposure traced the development of this issue. While early (IARC, 2002) pooled analyses analyses of epidemiological research reported an association between ELF-MFs and childhood leukemia, a 2007 review by the WHO found that the laboratory studies and other research results did not support the association. Taking all evidence into account, the WHO reported that it could not confirm the existence of any health consequences from exposure to low-level magnetic fields. Apart from the epidemiological research, some researchers have proposed a direct mechanism for potential impacts of EMF – this mechanism is voltage gated calcium channels. Briefly, these are protein complexes that transverse the cell membrane and regulate the flow of calcium into and out of the cell. Electric voltage is used to moderate these channels. This viewpoint has been promoted in particular by Dr. Martin Pall through various channels. However, when one takes a close look at the research and his published papers, it is obvious that while EMF certainly can be used to modulate these channels, the intensities required are far beyond what are typically found in our environment. Dr. Pall puts forth his argument in this paper. One of the first papers he cites to support the thesis that environmental EMF can modulate cellular calcium uptake is a review by Walleczek which covers work by other researchers, summarizing neatly various cellular dosages of EMF and the observed changes in calcium uptake. Figure 2 – Table 1 from the Walleczek paper. B is the magnetic field strength, given in mT. The effects of EMF on calcium uptake seem nicely dose dependent in Table 1 in his paper (see above). A dose of 22 mT (milliTeslas) produces a 170% increase, while 0.1 mT produced a 28% increase. Oddly, a dose of 6 mT produced a DECREASE in uptake of 70%. These three figures all came from different cell types and analyses however, so it is difficult to draw an accurate comparison. The magnetic field strength increase as a result of our electric infrared panels being on is 0.17 mG (milliGauss) [see more below]. To compare these two figures, we just have to convert as follows: 0.1mT = 1 G = 1000 mG. So, our increase of 0.17mG is equivalent to 0.000017 mT. That’s over 5,000 times less intense than the smallest field reported to have an impact on cellular calcium uptake. Based upon this information, it seems unlikely that environmental EMF that you are likely to run into on a day to day basis will have much, if any, impact on cellular calcium uptake. So, what does all this mean? In general, the link between EMF-MFs such as those produced by electric appliances in your home and any health effects is tenuous, small, and not well supported by studies to date. But, what IF the links are much more significant and real? Would products such as our panels be considered a significant risk? Having been asked this question, we had a third party analyze our panels for EMF radiation. First off, due to the design of our counter current looped heating element, the magnetic fields produced by one wire are cancelled out by the adjacent wires. This results in the magnetic field strength falling off very rapidly as you move away from the panel. This design element was confirmed by our third party analysis which found that, at head height in a room with our units mounted at 8’, that the difference between background and the panels was only 0.17mG, a level the Building Biology Standards set by The Institute of Building Biology + Ecology believes is “Ideal” and is considered no risk elevation. You can find that report freely available on our website. Currently there is little evidence that should cause one to worry about infrared panels as a health hazard. The intensity and spectra of the IR output are well within natural and tolerable limits, and far outside the range of IR outputs that have been shown to be harmful. Similarly, while the risks associated with EMF present a more complicated picture, the science seems strongly in favor of null to very small effect sizes, particularly in the epidemiological studies. Additionally, when substantial effect sizes are observed, such as in cellular studies, the levels of exposure are vastly higher than encountered our day to day environment. Finally, with specific regard to SolaRay panels, the EMF field generation is under the limits set even by the most precautionary of organizations. Any questions and comments regarding this topic are certainly encouraged – however please keep the discussion civil and on point! Dr. Janet Voke, Radiation effects on the eye, Part 1 – Infrared radiation effects on ocular tissue, Optometry Today, May 1999. My wife is greatly suffering from knee arthritis and virtually cannot walk. I was told that jade infrared heating mats can help. Alternatively, one can use an infrared heater that normally located at distance. In order to reduce the risk of infrared radiation, do you agree that using the infrared heater is safer than the jade infrared heating mats. Our panels are intended to heat a room or home and are not for therapeutic applications. There is little risk in using infrared heating as you likely read in our article “Is Infrared heating Hazardous To Your Health?”. I would suggest you look into other products that are specifically for therapeutic needs. My son lives in a small apartment in Dusseldorf in which a trotec infrared heating panel has been installed in the bedroom to counter humidity and possible water damage. A separate humidifier and blower has been installed in the bathroom where the water damage due to pipes leaks was encountered. My concern is : Is there any health risk being near to the infrared heating panel installed in the bed room. Advise from the maintainance engineer is to keep the window open while using the panel! Thanks for your question! There should be no risk at all associated with the infrared heat coming off the Trotec panel in the bedroom. If the maintenance engineer suggests you keep the window open, that may be to help with the dehumidification process and I would certainly recommend you follow that advice as otherwise the moisture being removed from the walls by the infrared heat may stay in the room. But there is no known health risk with being close to a far infrared heat source such as your son has in his apartment. I am not sure of the age of this article, so forgive me if I seem displaced. I am wondering what are the health implications using natural gas burning infrared heaters, that put 30,000 btu’s as a heating source for the season in an apartment? The article’s information is current and accurate. I can’t comment on the health implications of burning natural gas or on the spectrum of infrared radiation being emitted by this heater There are some potential health issue concerns with near infrared radiation, but if the heater generates far infrared radiation like our panels do, then the principles in the article would still apply. more on one side and deep lines were around my eye and cheek bone . It took several times applying creams to make it better. I worry about this. Can it damage my eyes? My eyes are already dry.The heater was on low. It heats the room well. “…there are some potential harms for IR exposure, it depends entirely on the spectral peak of the IR dosage received, as well as the intensity. Near IR can be harmful to the eyes because it penetrates as far as the cornea (Voke, 1999). Uncontrolled, frequent, or long-term exposure to Near Infrared can also cause thermal burns and ageing effects such as “Bakers Arms” or “Glassblowers Face” (Cho & others, 2009). The health impacts of Far infrared, on the other hand, extend simply to warming the tissue. There are, to date, no studies showing that Far infrared exposure has any sort of negative health impacts and certainly not at the dosages received from infrared heating panels. I feel asleep with my Firard3 Far Infrared therapeutic lamp on my abdomen for several hours. My skin is not burned. Should I be concerned about having cooked my organs? What are the dangers regarding my poor usage? Thank you. .this was very enlightening.. I have recently bought a Far IF panel and, whilst I find it pretty good when the weather isn’t too cold, it certainly, to me, doesn’t seem to penetrate its heat far into the room. However, when I stand in front of it, I instantly feel my brain is on the way to exploding and is very uncomfortable – and can last some time even if I leave the room. It is as if my brain is trying to expand within my cranium: do I have a differently-composed brain to most people – perhaps more water? – or is this something others have experienced, too? It’s quite disturbing, and means I have to move away – which then often means being cold. I have no metal in my brain, implants, have never had brain surgery… so what’s your explanation, please? Well, there is a phenomenon known as “hot head” if one stands to close to a infrared heating panel. If your panel is mounted on a wall, near say a couch or chair, and your head is within 2 feet, then that may happen. Our panels are mounted on a ceiling which is the best location to evenly heat a room. Since infrared is a form of invisible light, it works the same way – meaning if a panel is mounted on a wall, then near that wall is “illuminated” by infrared rays but on the opposite end of the room, that wall will barely be heated. I have been using infrapanel heating for four years now. I suspect it has antibacterial effects, as I don’t get the flu lately. Are there any studies about positive health effects of infrared heating? Thank you. We are not aware of any antibacterial effects from far infrared panels. Ultraviolet light does have antibacterial effects but we are not aware of any for infrared. Thanks for sharing the great post. I am really trying to improve my website and reading many blogs for taking ideas how can improve my website . Your articles is very nice and helpful. (1) What is a safe time a heater could be kept turned on in bedroom and Hall?? (2) What is safe distance [minimum distance] kids should be away from it [to eliminate Hot Head , is it 2 feet as commented]?? (3) Now these heaters sold with different wattages, how to decide which one to use as they heat bodies and not air, but certainly we need to heat our hall of 15m2 with 2.4 m height [so for us area is of concern] , which have two wide opening one leads to hall way and another to kitchen?? (4) Could they be placed on floors with feet, or they have to mounted on celling or wall? (1) The heater can be kept turned on all the time if needed. But we recommend connecting our heating panels to a thermostat which will turn the panels on and off as needed. (2) There is no danger in being close to the panel, but standing directly under a panel at a distance of 1.5 feet or less will produce the hot head feeling. (4) The panels cannot be placed on the floor. The surface of the panel gets quite hot (90 – 100 degrees centigrade). Panels must be placed on the ceiling or the wall at least 6′ from the floor.